Dr. Geissler received his M.D. degree from Tulane University Medical School in New Orleans, LA, in 1985. He completed his internship and residency in orthopedic surgery at the University of Mississippi Medical Center and then completed two one-year fellowships in hand and upper extremity and advanced arthroscopy in sports medicine. 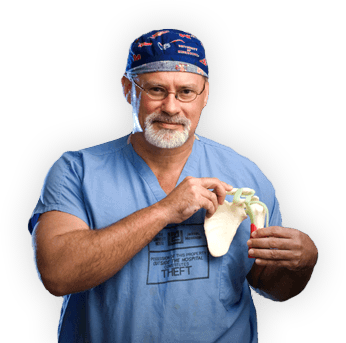 Dr. William B. Geissler is a Professor and Director of Hand and Upper Extremity Fellowship Chief, Sports Medicine and Shoulder Programs at the University of Mississippi Medical Center. He specializes in sports medicine, arthroscopic surgery, hand surgery, shoulder and elbow surgery. Dr. Geissler is head team physician of numerous community high schools and the Mississippi Braves. He also serves as team consultant for the University of Mississippi athletic program. He has served as faculty, moderator, and chairman in multiple arthroscopic and upper extremity courses both throughout the country as well as internationally. He serves as chief of UMMC's sports medicine and shoulder programs. He joined the department in 1992 specializing in shoulder and elbow surgery, hand surgery and advanced arthroscopic surgery. His particular interests include upper extremity joint replacement, upper extremity trauma reconstruction, and arthroscopic surgery.